Attached skirt, tapered longer at back, trimmed with lace. Flared short skirt that tapers up at the front. Decorated around the bustline and waistline with a 1 inch (2.5cm) wide stretchy braid of sparkling sequins. 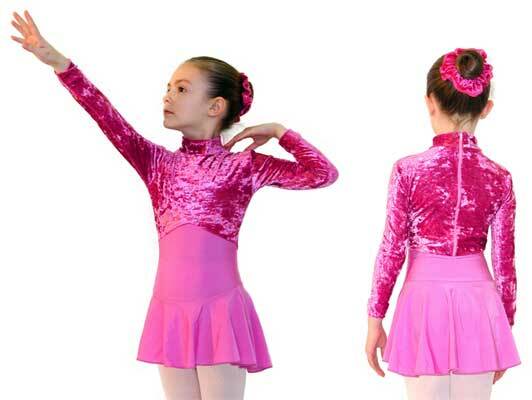 Girls leotards with skirts are made to order in accordance with the size charts on this page.